Muscle Building Routines - Who Says Size Doesn't Matter? "Muscle Building Routines - Who Says Size Doesn't Matter?" Do you believe a muscle building routine must be big to be beautiful? Research shows size does matter, and that bigger isn't always better. Building a terrific physique is simpler than you might think. The following 3 steps will show you how to improve your overall strength and fitness, but more importantly, they will help you build bigger muscles. Forget the muscle magazines, as the routines and workouts inside their pages won't help the typical trainee - in fact, they will more likely harm you. Such fantastical workouts are for genetic marvels only, and to attempt them will only lead to frustration and injury. Instead, follow PROVEN principles that DO WORK for the ordinary girl and guy. The benefits to you? 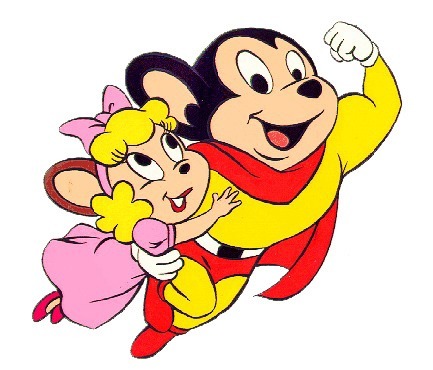 Just like Mighty Mouse, you can begin building bigger muscles today. Do you know the old saying, 'Good things come in small packages'? Well, I'm here to tell you this saying is true - especially when considering an effective muscle building routine. Moreover, the size of your routine is VITAL to your muscle building success. This is why you should see abbreviated training as your first resort when building muscle quickly and improving fitness. One of the worst errors in the training world today is the belief that abbreviated workouts are only for beginners - do not make this same mistake. So what do abbreviated workouts consist of? A handful of proven muscle building exercises will effectively build strength and size, with fewer exercises again for the extreme hard gainer (an ultra-abbreviated routine can consist of a single exercise making a 1 minute workout). Don't fall into the trap of believing more is somehow better. Good things come in small packages, remember? This includes effective strength training exercise routines. An effective abbreviated muscle building routine consists of compound exercises such as the squat exercise and the deadlift. Other exercises include some variation of the bench press, or the dip exercise, or the chin up. Together these exercises will effectively target your chest, shoulders, arms, back and legs. Due to their testosterone-triggering abilities, some variation of the squat or deadlift must provide the core to your routine. Why? Fail to exercise the legs and you FAIL to grow. Building muscle size requires proven mass builders, and these two compound exercises guarantee your gains. DO NOT try to build strength or muscle size without them. The squat is rightly regarded as The King of Exercises for a reason - do not ignore it. 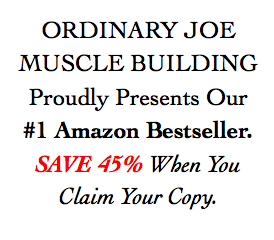 For more, see Science of Muscle Building. "It's alive!" went up the cry from a wild-eyed Dr Frankenstein. Want to build monster muscles? Then build muscle at home with your monster home workouts. Your training frequency, in addition to your rest and recovery, will significantly impact your muscle building gains. How much rest is required between workouts? 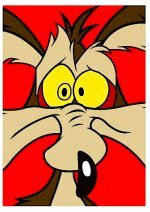 Medical research shows the body does not atrophy (lose muscle) after 96-120 hours as first supposed. Moreover, science shows hypertrophy (muscle growth) will not occur until the muscular system is fully recovered. What does this mean to you? It means the typical trainee should expect to allow a minimum of 3-5 days rest between full body workouts (or trained muscle groups), and in some cases, significantly longer. Muscle growth can ONLY happen after FULL recovery - to attempt to shortcut this process will jeopardize your efforts. Want to know how to build muscle quickly? Exercise less and rest more. Follow these 3 steps, and you will realize size matters, and that an effective muscle building routine doesn't have to be big to be beautiful! For more training tips, go to: STRENGTH TRAINING ENDEAVORS - a comprehensive site that educates you about natural muscle-building, personal fitness training, healthy weight loss - and most importantly - helps you listen to your own body's strength and fitness needs! Are you searching for an online fitness coach? Do you need help finding a program to meet your budget and lifestyle while providing encouragement along the way? See HOME WORKOUT ROUTINES to help you reach your health and fitness goals today! Your Best Muscle Building Routine? Rave About It Here! Do you have a workout question? Or a strength training tip you want to share? Then rave about your routine here!